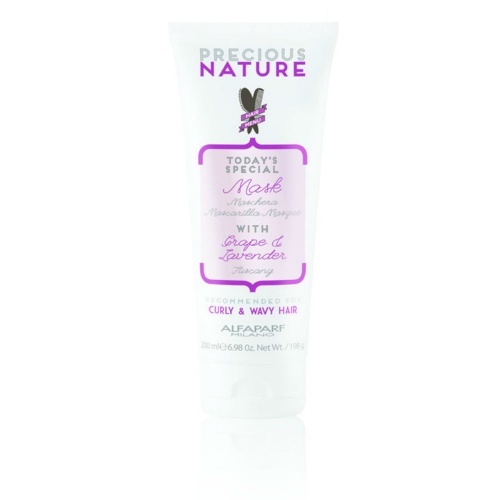 An intensive anti-frizz treatment from the New Precious Nature Range which rehydrates and smoothes the cuticle, leaving it tangle free. Enriched with Grape and Lavender, it t is a lightweight nourishing treatment that detangles and tames your frizzy hair, leaving full of body and shine, without weighing it down. As the whole range is based on natural ingredients , it's great for sensitive scalps... And it smells amazing too! Recently my hair has been a nightmare . Very dry and staw like, due to thyroid problems. So trying to comb it after conditioning , was not good. I tried this lovely smelling hair mask, after being so impressed by alfarparf's hair mouse and voila , the comb went through, with ease. I highly recommend this product and the bonus is it doesn't contain any nasties. This is a really wonderful product. 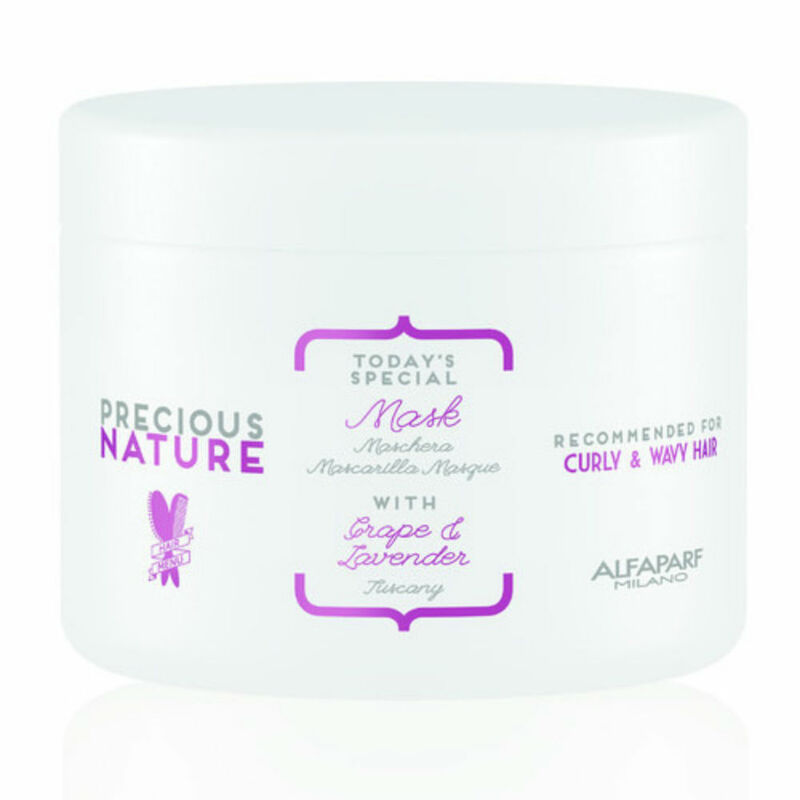 I have very curly, often dry hair and have used many different products in the past. I use the Alfaparf repair products, which are very good. However, I thought that I would try this new product. Even from one use, my hair is now smooth and shiny and in good condition. The product smells lovely too. I really recommend this product.